We are a friendly, family run mortgage broker based North of Cheltenham. We offer help and assistance with the following products. 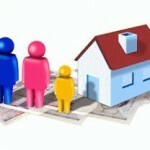 We can also recommend reliable local solicitors, estate and lettings agents. Do feel free to contact us for advice on any of the above products. We are happy to help. YOUR HOME MAY BE REPOSSESSED IF YOU DO NOT KEEP UP REPAYMENTS ON A MORTGAGE OR ANY OTHER DEBT SECURED ON IT. A fee of a maximum of £495 is payable on completion. Typically, this will be £382.28. We offer a discounted rate to first-time buyers & we offer a discounted rate for loyalty. Buy to let, commercial mortgages & unsecured loans are not regulated by the Financial Conduct Authority.